Based in Dendermonde, Belgium, D&M Premium Sound Solutions (D&M PSS) is one of the world’s leading audio companies, delivering best-in-class solutions and services to original equipment manufacturers (OEMs) such as BMW, Ford, GM, PSA, Toyota and Volkswagen. With global development & production centres in Belgium, China and India, plus Hungary and the Ukraine, D&M PSS has now added Zacatecas, Mexico to that growing list. Luxury automaker BMW is one of D&M PSS’ principal customers. For its U.S. production facility based in Spartanburg, South Carolina,BMW now contracts only with tier-one suppliers that have manufacturing centres located within the NAFTA (North American Free Trade Agreement) region. Doing so increases the proximity between it and its suppliers, allows BMW to purchase supplies and components in dollars instead of in foreign currencies with fluctuating values, and helps them satisfy NAFTA content rules of origin, all of which increase the cost competitiveness of their vehicles in North America. D&M PSS promptly sought to establish a manufacturing facility in Mexico, which has the advantage of being within the NAFTA region and of having labour costs that are substantially lower than in other North American locations. In Mexico, labour can often run as little as 10 percent of the cost for similar positions in the United States. The first issue to address was how best to swiftly set up an operation in Mexico. “We had no knowledge of local legislation, social laws or payroll regulations in that country. So as we did in the Ukraine and China, we chose to work with a local partner. This strategic model helps us balance risks and speeds up the time needed to set up the operation,” explains D&M PSS CEO and President, Bernard Geldof. The next issue was location. “In the past we’ve had experiences with factories in Juarez, close to El Paso, Texas, and Puebla, nearby Mexico City. So we are well aware of both the advantages and disadvantages of setting up in Mexico. This time, we focused long and hard on securing the most favourable location. “From earlier experience, we’ve noted that border towns like Juarez tend to have an unstable labour force. These communities are primarily made up of people who weren’t born there, and who are either hoping to someday cross over the border or are planning to eventually return home. For long-term projects like ours, it’s important that employees build up experience with the company,” explains Geldof. D&M PSS also set their sights on locations where transport logistics are relatively hassle free. “Many within the automotive industry go to the Monterrey/Saltillo area. But if you have to bring in raw materials from Asia or Europe, you’ll likely have to drop them off at a U.S. port and then ship them overland to the Monterrey/Saltillo area, which is enormously expensive. Road transport and border crossing costs in Mexico and the U.S. are much higher than they are in Europe,” says Geldof. So to suit logistical requirements, D&M PSS shortlisted sites that were located where all of the major OEMs already had established “milk runs” (where components are picked up from different suppliers located in the same area, and are consolidated and sent to the OEM assembly operation). Additionally these sites needed to be close enough to a Pacific harbour for the easy transport of Asian raw materials. 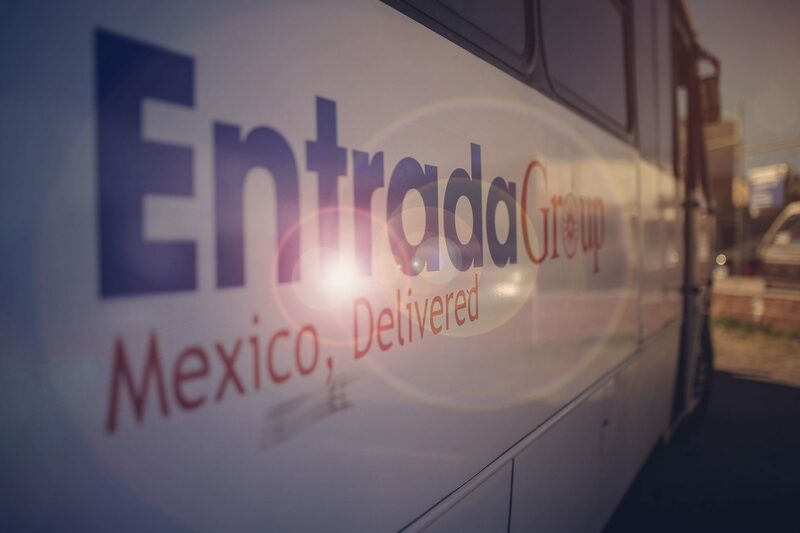 Just six months after signing an agreement with Entrada Group, D&M PSS was able to move its production line into its new Mexican premises. “The entire set-up process went incredibly smoothly, and to be honest, there have been no major road blocks to date,” says Geldof. In fact, the company has successfully reported no quality defects since the start of operations. To serve the North American market, increasingly more OEMs are focusing on Mexico for automotive assembly. So while BMW may have been the impetus for D&M PSS to start up operations in the country, the audio equipment supplier could also bet on the fact that the facility would strengthen its position with other automotive OEM customers. Just 18 months later, that gamble is paying off. “In the automotive industry, it’s impossible to sell with PowerPoint presentations. Since our facility has been up and running, we’ve been able to bring prospective customers to the site and say ‘we can do the same for you’,” declares Geldof. Since moving to Zacatecas, D&M PSS has already signed a 2nd customer, and a 3rd is on the way.